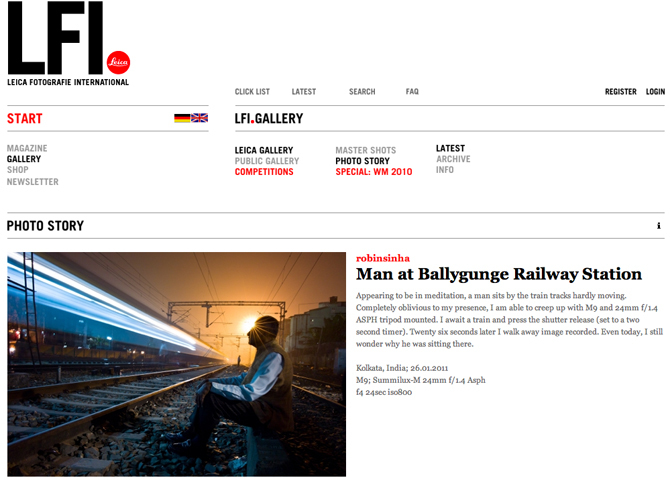 An image that I took on a recent trip to India has been selected for the LFI Photo Story of the week. LFI (Leica Fotografie International) is a magazine dedicated to Leica users, and its online gallery hosts thousands of images taken by Leica cameras. Every week one image is selected for “Photo Story”. Having now been selected, the image now has a chance of being featured on the official Leica website.